America is home to about 325 million people. It is famous for being christened as a melting pot where people from all over the world with diverse cultures and backgrounds met many generations ago. As a result, the birth of a new and all-encompassing culture came about. When you think about things that are distinctly American, so much comes to mind, that it is literally impossible to pinpoint only one thing that describes America, from the magnificent Statue of Liberty in New York to the celebration of the annual Thanksgiving Day. It is their love for baseball, hockey, hotdogs, macaroni and cheese, their world-renowned fashion houses like Michael Kors, Calvin Klein, Victoria Secret and Ralph Lauren, as well as their pop culture and numerous pioneer reality television shows. It is the rich art and culture of the Native Americans that we see in some of our favorite Western Cowboys and Indians movies, and the nonstop fun and excitement you find in Las Vegas. There are numerous places to visit and things to do in America, that it is virtually impossible to exhaust them all in one lifetime. With that said, American themed slot games exude as much diversity as the culture itself. They are tailor-made to give you that authentic American feeling from wherever you are in the world. Let us look at what makes these slot games uniquely American. The developers of these games incorporate symbols that are distinctively American. The game icons are usually quite large and realistic with bold colors. 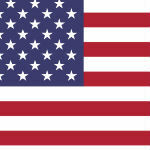 Pragmatic Play’s Doggie’s Delights has integrated food symbols that are synonymous with the United States. Players are sure to experience a surge in their appetite as they see tasty looking hot dogs, cheeseburgers, slices of pepperoni and pizza spinning around on the reels. Microgaming’s Totem Treasure uses symbols that represent Native American culture. The totem is the symbol of the spirit animal that the Shamans believe guides and protects its followers. In this game, the eagle is the totem. Other Shaman symbols used include eagles, campfires, teepees, smoking pipes and dream-catchers which are all set against a mellow purple backdrop. Players get to enjoy these icons as they play and learn about the Shaman way of life. An American escapade would be incomplete without a Western Cowboy’s adventure. Sticky Bandits from Quickspin teleports you back in time to a place where train robbers and cowboys ruled the prairie. It is a game which contains a backdrop of a rocky and cactus riddled desert, with the theme appropriate icons such as gun-wielding cowboy bandits, an attractive cowgirl, red bundled dynamites and a bag of gold coins. The visual design is impeccable, and the graphics are very realistic. Additionally, this riveting machine completely absorbs you into the Wild, Wild West. Overall, if you fancy some slots’ fun with Native American inspired themes, then you ought to try out Mystics Dreams, Totem Treasure, Eagle’s Wings and Golden Chief. Alternatively, you can have a go at Ride ‘em Cowboy, and Treasure Run for some Western Cowboys themed action. Lastly, if you are looking for slots games whose themes embody famous American movies, then you could choose from Ironman, Jurassic World, Superman, and Captain America. Hence, these games have made it possible to experience the allure of the United States without ever having to set foot there!